It’s rare when the name of a product fully describes it before we get a chance to. 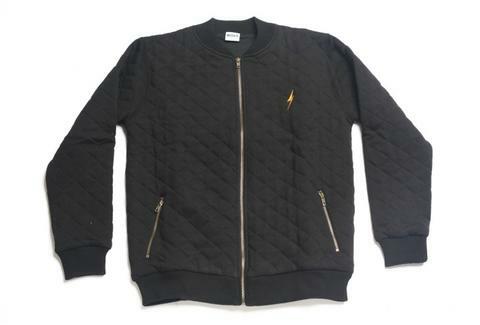 Like the title says, this is a simple, comfy fleece jacket with a quilted shell from Hawaii-based Lightning Bolt USA. Wait, zippered! It’s zippered.